NATA offers several resources related to diversity including statistics, mentoring opportunities, scholarships and an extensive grant program dedicating to advancing ethnic diversity studies and initiatives within the profession. NATA offers Diversity Enhancement Grants up to $5,000 in three different categories to help support the advancement of diversity within the AT profession. Grant applications are due April 1 of each calendar year. One of the EDAC grant recipients, Colorade State University Pueblo, created injury infographics for health issues related to diverse populations, including asthma, HIV, hypertension, diabetes and other unique health considerations. The NATA Ethnic Diversity Advisory Committee (EDAC) has created a specific application for ethnically diverse athletic training students who would like to attend NATA's iLead student leadership conference but may not have finances to do so. The iLead Diversity Grant will be offered biennially to help offset the cost to the conference. For more resources related to Cultural Competence, visit Practice & Patient Care. 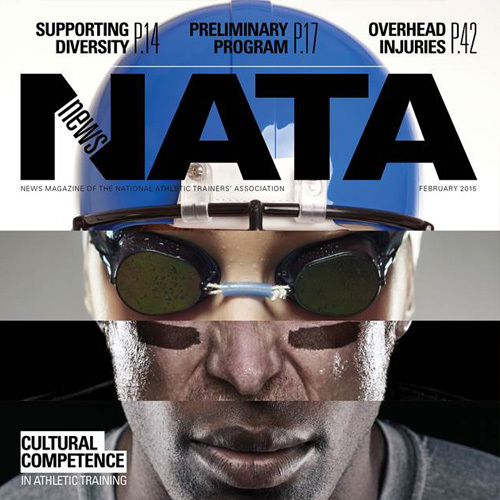 The NATA News February 2015 issue includes a cover story about diversity within athletic training, including clinical issues relevant to diverse athletic populations and current diversity statistics within the profession. NATA demographics provide a breakdown of ethnic diversity within the membership, including ethnicity numbers sorted by job setting, gender, membership category and district. EDAC is supporting Be The Match on a state, district and national level as the national bone marrow registry strives to increase the number of diverse donors in its database. EDAC is hosting donor drives at the 2018 NATA Clinical Symposia & AT Expo, as well as most district meetings. Read more in this NATA News article (pdf). The NATA Ethnic Diversity Advisory Committee created a mentor database to provide NATA student members a place to find professional mentors. This resource allows students to search for mentors by location, job title, ethnicity and professional interest and currently lists nearly 180 available mentors across the country. Interested in becoming a mentor? Sign up using our mentor submission form. The NATA Ethnic Diversity Advisory Committee sponsors two scholarships through the NATA Research & Education Foundation.